Recently published in Oncotarget, a study led by Charis Eng and Stephen Grobymer (Cleveland Clinic, OH, USA) has revealed differences in the bacterial composition of healthy breast tissue in comparison with cancerous breast tissue. These findings are a step forward in understanding the role bacteria plays in breast cancer risk. 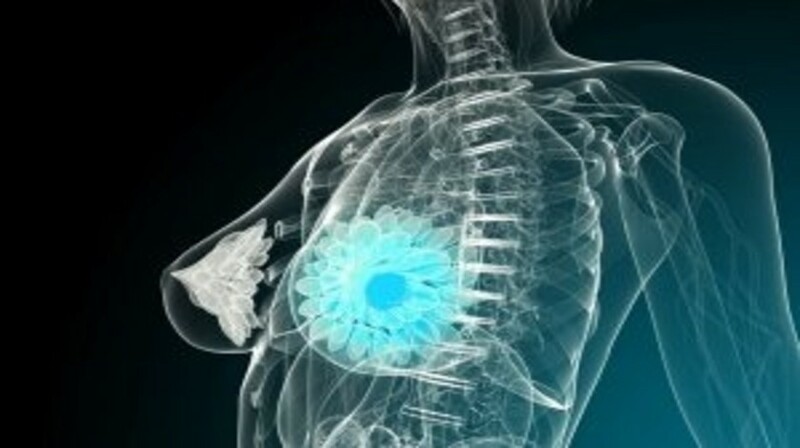 The study investigated the tissues of 78 patients, 57 of which had undergone a mastectomy for invasive carcinoma, whereas the other 21 patients had undergone elective cosmetic breast surgery. Oral rinse and urine were examined to determine the bacterial composition of distant sites. DNA extraction and bioinformatics analysis was also carried out on the samples to determine the type of bacteria present. The bacterial genus Methylobacterium was demonstrated to be highest in healthy breast tissue and lowest in the cancerous breast tissue. In addition to the findings in cancerous breast tissue, the urine samples from cancerous individuals contained higher levels of Gram-positive bacteria in comparison to healthy patients. Following on from these findings, further research is being carried out into loaded submicroscopic particles that can target these pro-cancer bacteria by delivering antibiotics directly to the bacterial community in breast cancer.